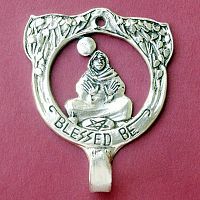 - A woman sits beneath a full moon, with a pentacle at her feet. 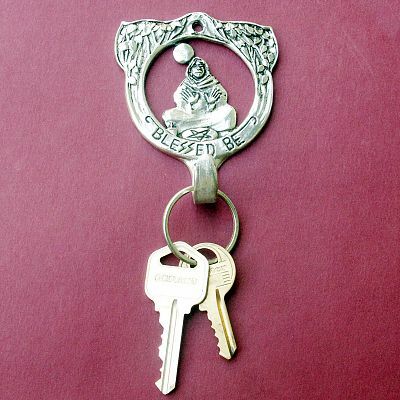 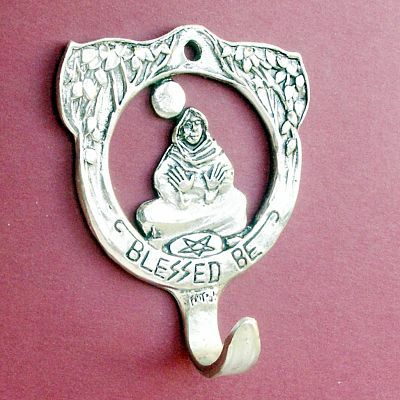 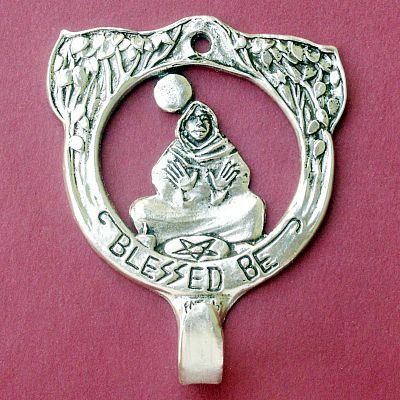 The words "Blessed Be" appear on the border of the hook. Approximately 3" x 2 1/2". Do you have any other questions about our Pagan Wall Hook?